With the rivalry between technology companies sometimes pushing far into the ‘fierce’ territory, a trade show such as the recent IFA 2014 in Berlin (Germany) can be a key battle ground for competing with other market leaders and checking out their products in the flesh with little stigma or repercussions… unless physical damage occurs. South Korean company Samsung have come out with accusations that native rivals LG have done this to them whilst in Germany, but not even on the demonstration models at the show, rather an act of ‘vandalising’ store models of a product elsewhere… and not even the connected mobile or TV devices the pair are more famous for. Instead it is washing machines that are the centre of attention in this dispute (though as the picture demonstrates, South Korea has slightly higher standards of washing machine development than most of the world), as Samsung accuse a number of LG employees, in a delegation which included a ‘senior executive’, as intentionally damaging some of Samsung’s goods at a German appliance store prior to the IFA trade show. LG has quickly moved to accept responsibility for the broken machines, with claims that it was not a deliberate but an accidental damage from when the delegation examined the in-store models on ‘market research’ purposes, stealth-insultingly explaining that ‘weak hinges’ were the cause of the items being broken. 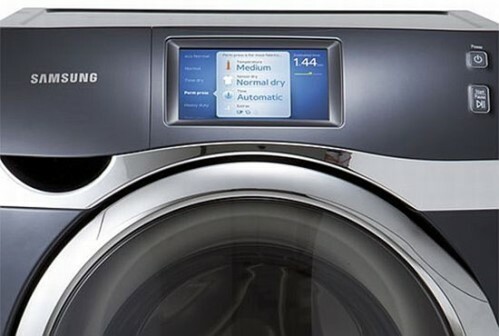 They also announced their intention to cover the cost of four washing machines at the store in question but only admitted to causing damage on two, though Samsung have regardless of the response called German and South Korean police forces into the matter. Considered by many as the turning point in cable television programming, the mob based drama The Sopranos is nowhere to be found streaming. The official HBO site HBO Go is the only place to watch The Sopranos. Netflix, Hulu and the other big streaming sites are shut out from the adventures of Tony Soprano and his New Jersey mobsters. The series features Tony Soprano, played by the late James Gandolfini and his on screen wife Edie Falco who plays Carmella. They’ve got two kids and Tony has a small mob off men who do his bidding from robberies to murders to extortion. 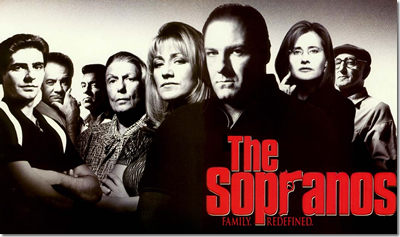 The series is unique as it portrays the mobsters as family people who just happen to be criminals. Like most Americans go to work as teachers or office workers, the Soprano clan go about figuring out how to get more money and control through organized crime. Outstanding performances, scripts, directing and more cemented audiences to this series from day one. It’s part of our lexicon too. It’s ending is one of the most controversial ever and with the passing of its star is now quite poignant. Although tens of millions have seen the series it would be nice for people who don’t subscribe to HBO to get to watch it again. Netflix would have been the first choice but that’s not to be had. Getting the DVD series is the only other route so people who need their Sopranos fix have to go to Amazon or Ebay or any of the reputable online stores. Here’s a word of warning. Do NOT go to websites claiming to stream episodes of The Sopranos. These are traps. No one but HBO Go has the authority to stream the Sopranos and if you fall for one of these bogus sites you’ll end up finding your credit cards and personal information compromised. Seems like the Sopranos aren’t the only ones doing dirty deeds. Online streaming is only as good as the service provided and the bandwidth available. Choppy streaming is a nightmare and ruins the experience. Internet service providers are supposed to provide ample bandwidth so that your connection provides for as much bandwidth as possible. This isn’t always the case even with the cable companies. In order to combat this the average person doesn’t know how to improve things other than call support. Support can be a nightmare as well, with people from foreign countries who are unintelligible trying to troubleshoot from a computer menu. Each household or device has its own configuration and it takes a pro to go through each step to see what the problem is. Often it’s a company wide problem. Technicians and companies not having done their jobs are are behind schedule. Consumers need to know what steps they can take with their internet service providers to get the best service possible. Sometimes it’s the device you’re using. It hasn’t been optimized or you’ve got other programs running or any number of things. A good service provider will have a troubleshooting staff that is aware of this and will join in to help you solve these issues. Governments are working to increase bandwidth and there’s a controversy brewing regarding priorities over who gets that bandwidth. All this said and done it’s up to the consumers to demand the best service and to keep their own computers in top shape to handle bandwidth properly. For streaming help read our streaming help guides – How to get stutter free streaming – Help with streaming guide. Zombies. They’re all over the place. There are more zombie movies and television shows than one can shake a stick at and more are on the way. The dead wandering around looking to eat brains is based mostly in popular lore on the classic horror flick Night Of The Living Dead. The fan base of that movie has grown to involve people who have to have their zombie thing going on. Why? Probably because shooting zombies with a shotgun or blowing them up with grenades doesn’t leave any guilt as they’re not living people anyway. 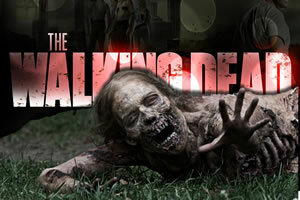 Shows like The Walking Dead have taken the world by storm. Fans cannot get enough of this show based on a popular comic book. The success of this show alone has ushered in a zombie mania so to speak and even super star Brad Pitt starred in a big budget zombie movie recently. As long as fans shell out that money or bring in that viewership, zombies are going to be good fare for the media. Many new projects featuring zombies are in the works in Hollywood and foreign companies are trying their hand at it too. These movies and TV shows are easily accessible via streaming as the streaming sites know that without zombies they’d be losing viewers big time. The revenue streams from this genre are healthy and fat and people’s bloodlust are satisfied with exploding heads, viscerals on fire and all sorts of grisly action. That all being said, expect more ghoulish zombie action for quite a while to come. 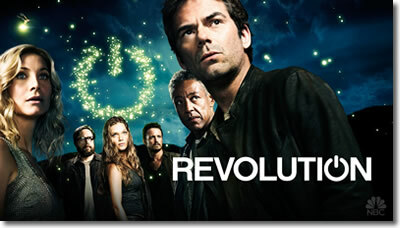 The second half on the 2nd season of Sci-Fi show Revolution, will be returning tonight at 8/7c on NBC after the exciting end of the first half of the season. (Beware Spoilers Ahead!). killed by Horn, Aaron talks to a boy who is a manifestation of the nanotech, Miles finally confesses his love for Rachel and Neville finds his wife on a train which is bound for Washington D.C. and finds out she is remarried. It might not be a lot but it points out that for the rest of the season we will definitely be seeing more of the couple and their journey.